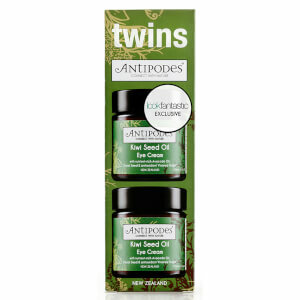 Cool and soothe your eyes with Antipodes Kiwi Seed Oil Eye Cream, a luscious yet light eye cream that is rich in Vitamin C and Kiwifruits. Working to help rescue damaged tissue, the organic cream contains carrot seed oil, aloe gel and 100% pure avocado oil, that should be applied to the delicate eye area at sunrise and sunset, to help your eyes appear younger. good quality eye cream, absorbs instantly and does not give me milia. does not feel too rich but is effective. i can't say it removes my dark circles but it does remove puffiness! Have been using it for about a year and i have just ordered the second jar. It has a light fragrant smell and i like that the ingredients are mostly natural. It doesn’t give me any millia seeds. Packaging: glass jar, not very travel friendly. the cap is plastic and screws on securely. luxurious packaging. you may need a small spatula to keep the product sanitary. Texture: creamy but holds its form. very smooth, spreads easily without tugging on your eyes. Not oily at all, takes some time for the cream to sink in. before it sinks in it kinda has a white hue on the skin. 30seconds later its gone and skin feels great. I find that tapping it in gently with your ring finger is best. Scent: very natural scent, nothing that would bother most people. very mild. Overall: this is a great eye cream that is extremely worth the price tag especially since its 30ml and most eye creams are 15ml at the same price. the ingredients are great. I've been using it awhile and no milia seeds have formed, and eyes do not sting. apply less in the day and more at night, its really a great eye cream and can be used all year round at any time. i will definitely be repurchasing. I use fake eyelashes everyday so it make my eyelids blepharitis but after I use Antipods it never happen to me again!!! So impressive. I love it. My best forever. This eye-cream smells very pleasant and it's certainly moisturising! On the other hand it does seem a bit thicker than I expected from an eye cream, so I'm carefully monitoring the situation in case it causes any millia seeds. I have eczema around my eyes and this eye cream really calmed it down. It is light and cool and soothing. I would highly recommend this cream, especially if you have sensitive skin. 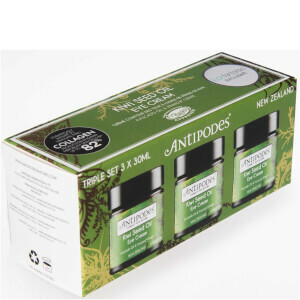 ANTIPODES kiwi seed oil eye cream is my favourite after trying so many many eye creams.The product holds high-efficient hydrating action ,let nutriment filter into skin quickly.And it's luscious yet light,that‘s what I value most . I could see the effect after using a few days.Highly recommended! I have tried many eye creams from different drugstore and HE range. This babe is by far the most effective thing for sensitive skin around my eyes. I love that it doesn't contain fragrance (what's the point of adding perfume in eye creams? ), and it doesn't sting my eyes. 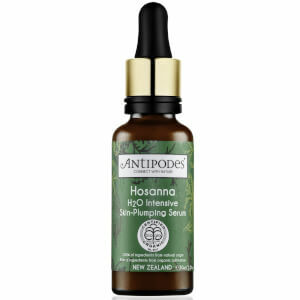 I am using it every morning, it soaks well leaving the skin smooth and hydrated, sometimes before bed. It's excellent under makeup, it prevents creasing of concealer and generally feels so nice under makeup. Sometimes I apply it on the rest of the face because I enjoy how it actually hydrates skin! My night time choice is Paula's Choice Resist eye cream, and by combining these two my eye area become visibly smoother, gentle and fine lines are reduced drastically. Also, love this combo during the Winter months when the air is so harsh and drying. 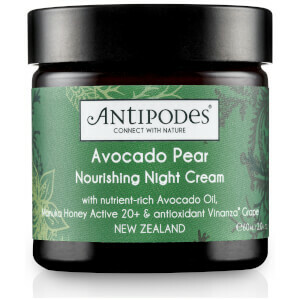 Antipodes Kiwi Seed Oil Eye Cream is highly recommended by me :) to al of you who are in search for something different, effective and exotic (I'm from Croatia and Antipodes goodies are my way of having contact with New Zealand :D). Only eye cream you need !!! Absolutely love this eye cream. I have really problematic undereyes get extremely dry sometimes ezcema i suffer with lines as a result and darkness. This eye cream is so soothing amd super hydrating, really noticed a difference with my darkness and lines after only a couple weeks of use. I cant wait to see more reaults. Also get loads of product for a very reasonable price most eye creams are 15ml you get twice as much.